To answer the question in which documents or document groups a certain code was used, MAXQDA gives you the option to use the Overview of Documents. 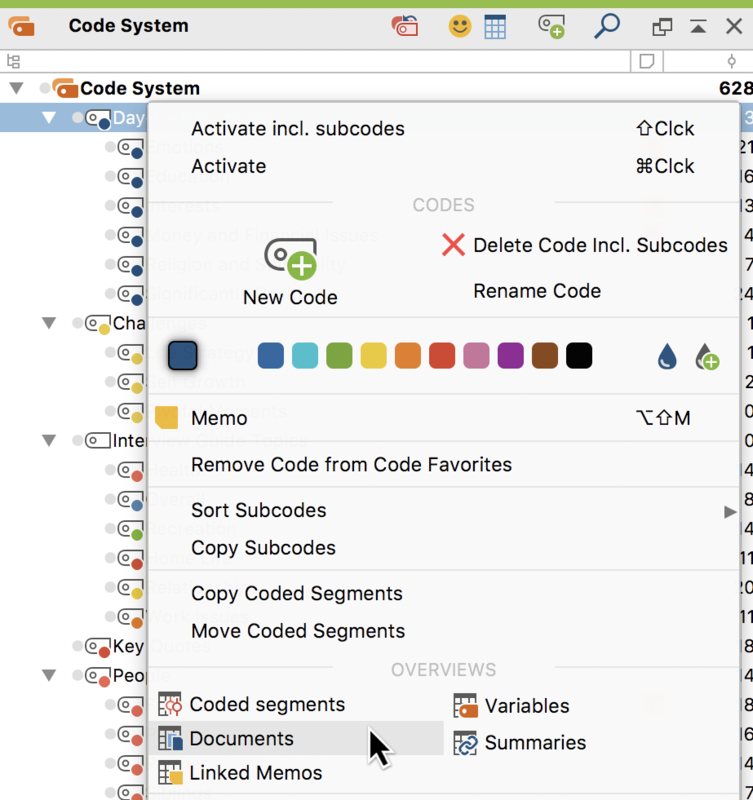 To show this overview, right-click on a code and choose Overview of Documents from the context menu. It makes no difference whether the code has collapsed subcodes or not – the Overview of Documents takes into account only the code in question. A tabular list of all documents that have segments coded with the chosen code will open. In the following example, the code “Day-to-Day Issues \ Emotions” was used in ten documents and two different document groups. The column “Number of coded segments” shows how many coded segments were found in each document. In addition to the usual symbols above the overview, which include the functions for filtering rows and for export, the Aggregate to document groups function is available. This function restricts the display to include only the document in which the selected code appears.